SOS TRUCK SERVICE is pleased to announce the expansion of our services throughout the Southern California area. Our unique specialized units can be dispatched to your business or vehicle's location. Our services include major and minor repairs, emergency and specialized services, ANYTIME, ANYWHERE. In these serious and troubled financial times, we are finding that companies that are taking advantage of our services are experiencing considerable vehicle cost savings. 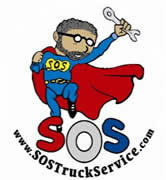 SOS TRUCK SERVICE has years of successful experience in the vehicle maintenance field. This can be to your benefit. Our expertise, mobility, flexibility and service experience can cut down time and nearly eliminate the expense of towing.